Seminars are prepared for and delivered to professional design engineers, practitioners, R&D technical managers, and researchers. Seminars are from three to five days in a row and involve both presentations and group discussion sessions. 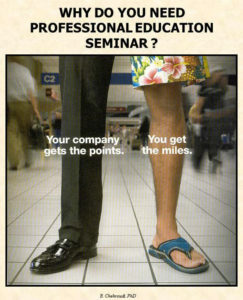 Seminars come with up-to-date, targeted, tailored slides and hand-picked articles. The presentation style is to enhance understanding and build physical intuition on key issues and provide design guidelines based on experience. In many cases, the seminars were followed by, or packaged with, consulting opportunities on pressing R&D needs of key players in a variety of industries. Many of our consulting services are originated through such seminars. For this and similar professional activities, Dr. Chehroudi was honored with the Forest R. McFarland Award in recognition of the outstanding services and leadership in contributions to Continuing Professional Development, Society of Automotive Engineers (2002). Managing R&D organizations and concentrating on their productivity and excellence offers a unique set of problems and unusual challenges that are amplified when the team is scattered spatially in a global economy. This uniqueness arises primarily from two basic facts: (1) the character of the enterprise/technology, and (2) the highly-specialized, articulate, and autonomous people involved in R&D. As American economist and Nobel laureate Kenneth J. Arrow stated, "The central economic fact about the processes of invention and research is that they are devoted to the production of information." Obviously, the generation of information requires research and, in addition to the R&D organizations' focus on information, research involves considerable uncertainty because the outcome can never be predicted perfectly from the different inputs used. It will, therefore, become clear in this course that managing an R&D organization is largely the art of integrating the efforts of diverse, creative, intelligent, and independent individuals. The ideas presented in this course consist of the condensed works of a multitude of experts focusing on ways to improve the productivity of R&D and foster excellence and innovation in organizations. The course is intended for all levels of managers, supervisors, and team/group leaders who wish to improve their leadership, management, motivational, and communication skills for creating optimum individual and team performance in R&D organizations as well as management of technology. It is particularly useful to scientists, engineers, project managers, and other technical personnel who intend to make a transition to management positions in an R&D environment or who want to improve their own leadership and/or followership skills. It also is beneficial for faculty members, group leaders, department heads, technology managers, research administrators, managers responsible for sponsoring research, and policy makers in science and technology. Lecture notes and cases studies: 980 pages. A good understanding of the physical and mathematical principles of the combustion process will permit engineers to effectively contribute to emission control strategies and design and develop emission control systems and components. In addition, this seminar will build sufficient background to enhance interdisciplinary collaboration between research and development, design, and manufacturing engineers. Issues related to combustion and emissions will be brought "down to the earth" with minimal use of mathematical terms and maximum application of physical explanations and analogies. However, the notes for this seminar are intended to be "reasonably complete" so that an engineer who desires to go beyond the objectives of this seminar, may do so by merely reading the included notes. For this reason, some of the handouts relate to advanced mathematical formulas that are not essential and not covered in the seminar itself. This seminar introduces the jargon of combustion and emphasizes the definitions and necessity for precise usage of these terms. Equilibrium species composition, its meaning, limitations, and applications are discussed. Chemical kinetics terms and concepts are explained and their utilization is demonstrated in the context of explosion and hydrogen/hydrocarbon (HC) fuels oxidations. Autoignition, flame structure and propagation, and flammability limits are discussed. Combustion, flame structure and speed, burning speed, turbulence and turbulent burning speed, cyclic variability of combustion, and partial burning and misfire are among the subjects covered in the context of combustion engines. Also discussed are the formation of major pollutants such as, nitric oxides, carbon monoxide, and unburned hydrocarbons. The formation of minor species are described in brief. Effects of engine design and operating parameters are also emphasized and discussed. Finally, after-treatment of pollutants in the exhaust system including catalytic conversions is described. Design and lecture notes: 1005 pages. o Liquid Atomization, Sprays, and Fuel Injection Systems/Technologies, (https://www.sae.org/learn/content/98019/). Atomization of liquids is at the very heart of operations of many of the devises we use on a daily basis. From our shower in the morning (liquid water atomization process at the shower head), to liquid-fueled engines in ground transportation, to gas turbine in airplanes/power stations and rocket engines , we rely on the efficient and low-pollutant-level operation of these devices. This seminar is based on the realization and proven experience that knowledge of technological practices and advances in one discipline, say, diesel fuel injection, is highly beneficial to engineers in other areas of engineering and technology such as, for examples, gasoline direct injection (GDI) or rocket engines and vice versa. This seminar is about understanding the processes of liquid atomization and spray formation and relating this understanding to fuel injection systems and emission of pollutants in modern engines. Fuel injection is the key to smooth, efficient, and low-emission operation of the gasoline-fueled engines. In diesel and GDI engines, it is shown that the story is also the same and even more critical. In the aerospace industry, the engine thrust, efficiency, and the emission levels are directly related to the performance of the liquid fuel injector designs. In short, the liquid fuel atomization and spray formation is in the heart of the majority of stationary and mobile power generation machines. Other areas such as electrostatic car-body spray painting, agricultural crop spraying, ink jet printing, pharmaceutical nebulizers, spray drying, and chemical liquid rockets, are just a few examples of the very wide applications of the liquid spray production technology. The approach in this course is to build sufficient background through introduction of a consistent and widely-used terminology in sprays and atomization. Justifications, reasons, and purposes of the liquid atomization and spray formation are discussed along with presentation of different designs of atomizers and nozzles employed in various industries. Characterization methods of sprays are discussed after the definition and meaning of different averaged liquid droplet diameters are touched. Droplet size measurement devices are covered and examples are shown. Armed with these critical background information, the focus of the course is then heavily directed to the gasoline and diesel fuel injections, injector designs and their performance requirements for optimum engine operation with lowest possible emission of harmful pollutants. Design and lecture notes: 590 pages. 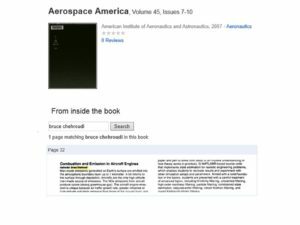 o Combustion and Emissions in Aircraft Engines, (AIAA Professional Education Course), initially prepared through a contract with NASA Glenn Research Center. Most of the man-made emissions are generated on the earth’s surface and emitted into the atmospheric boundary layer up to about one kilometer. A large fraction of these pollutants return to the surface through wet or dry deposition. However, some penetrate beyond into the free troposphere and further depending on their atmospheric residence time. Aircrafts are the only high altitude man-made source of emissions. The effect of NOx on ozone creation or depletion is highly altitude dependent. Subsonic airplanes cruise at altitudes of 8-13 km whereas supersonic ones cruise at higher altitudes of around 20 km. The NOx emissions from subsonic aircrafts are considered to produce ozone, which is a strong greenhouse gas. However, the concern over environmental impact of aircrafts is not just due to the point of release of the emissions but also the projected rapid growth of the aviation industry. The uniqueness of the aircraft engine emission comes from the following factors. First, air traffic growth exceeds ground traffic growth rate. Second, pollutants of air traffic are emitted at high altitudes where they have a greater influence than those at the ground level. Third, increasing engine operating conditions (higher combustion chamber pressure and combustor inlet temperature) of modern highly-efficient gas turbine engine designs tend to increase the quantity of NOx per unit of fuel consumed. Aircraft engines are regulated on the amount of pollutants they produce. The International Civil Aviation Organization (ICAO) sets the standards. The species that are regulated are NOx, CO, unburned hydrocarbon, and smoke. 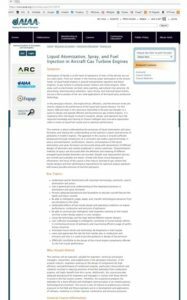 The increasingly stringent emission regulations remain the major driving force for civil aircraft gas turbine combustion research. While the best annular combustor technology is able to meet current regulations, the double annular combustors (DAC) have demonstrated a substantial reduction in NOx production. These low pollutant engines (already in service) are the starting point for ultra low emission combustors. A solid understanding of the mechanism of pollutants formations in the combustion chamber along with thorough knowledge of fuel combustion and design issues in gas turbine combustors are the main objectives of this seminar. This seminar starts with a concise yet effective review of the combustion issues and terminology in engines to establish a uniform knowledge base. This requires sufficient knowledge on fuels, in particular, unique requirements of aviation fuels, and air quality at different altitudes. Fundamentals of combustion thermodynamics are effectively discussed next. Concepts such as equilibrium, adiabatic temperature, and heating values are explained. Then the focus is turned on the combustion chemistry in which topics such as reaction rate, autoignition, and reaction mechanisms are discussed. Flame propagation, stabilization, and quenching are covered next followed by some basic knowledge on liquid fuel drop evaporation and burning issues. Stirred reactor concept and efficiencies (combustion, thermal, propulsion) are adequately discussed with some examples. Detailed discussion of combustion, pollutant formation mechanisms, liquid fuel atomization and their complex interactions are presented next. Ignition issues such as altitude relight are sufficiently covered. A simple design problem is presented to describe the methodology. Near-term and long-term trends in combustor designs and their rational are fully presented towards the end of the seminar. Design and lecture notes: 550 pages. The quest for an even more efficient, smarter, and environmentally-cleaner liquid-fueled spark ignition (SI) reciprocating engine than the current multi-port fuel injection (MPFI) SI engines is more alive and intense now than ever before. In this effort the GDI SI engines have an important and special place. Some background information is of value to facilitate the understanding of the operation and potentials of the GDI engines. The history of the fuel/air mixture preparation system in SI engines starts with the carburetor units positioned in the intake system just prior to the throttle valve which itself is connected to the driver accelerator foot-pedal for manual load (or engine output torque and power) changes in these engines. For many years this served the purpose until the race for the higher performance, more fuel efficient, and cleaner-burn engine intensified that led to the MPFI SI engine design. In this design, an electronically-controlled fuel injector is used per each cylinder for fuel metering and targeting of the sprays towards the intake valves. In MPFI engines the amount of fuel injected can be independently controlled from the air flow and the replacement of the carburetor unit by the port injectors itself caused a better breathing capability (or higher so-called volumetric efficiency) of the engine leading to higher output torque and power levels. Higher volumetric efficiency means that each cylinder of the engine can bring more mass of air thereby providing the potential and opportunity for more fuel introduction and hence higher chemical energy release per cycle delivering a higher engine torque. In contrast, diesel engines use direct liquid fuel injection into the cylinder and rely on autoignition of the fuel itself with no external ignition sources such as spark plug or any other means. The load in these engines are varied by changes in the amount of the fuel injected and there are no throttle valves in the intake system. Therefore, the pumping work, a negative work or energy needed to pump air in and burned gases out of the cylinders, are nearly zero for diesel engines whereas it changes from a maximum value, at idle throttle valve position, to a negligible amount under full load at wide open throttle (WOT) valve position in SI engines. Note that the net indicated output work of an engine is equal to the total work during the compression and expansion strokes minus the pumping work. Pumping work is also referred to as throttling work losses in the automotive literatures. The absence of the throttling work losses (as a result of the lack of the throttle valve) for the direct injection (DI) diesel engine is also one significant advantage of the GDI engine design. This provides an opportunity for improvement in specific fuel consumption (SFC) over the current MPFI engines. In a sense a GDI engine is like a DI diesel engine but with a suitably-positioned spark plug and a gasoline fuel, instead of the easily auto-igniting diesel fuel, in-cylinder injection system. In practice, some degree of throttle control is usually required for GDI engines, compromising the SFC improvement potential. The US government goes as far as suggesting that in just another 10 to 15 years, nanotechnology will impact more than $1 trillion per year in products and services. The idea of building and working with structures in the “nano”-scale world goes back to Nobel laureate Richard Feynman’s famous lecture on December 29th, 1959 at California Institute of Technology titled “There’s Plenty of Room at the Bottom.” He envisioned engineering materials one atom at a time, a “bottom-up” approach. An entity with a micron in diameter is (1/1000) of a meter and a “nano” sized object is (1/1000) of a micron, a dimension difficult to imagine and feel. For example, a human hair is about 50 to 100 microns (μm) in diameter, a white blood cell is about 10 microns, and a DNA is in the order of 10 nanometers (nm). Building brick by brick using atoms required tools unavailable in 1959. One approach is to hope that once these building blocks are unloaded on a land, they automatically form a desired building through the magical self-assembly properties observed in molecular world. One breakthrough enabling technology towards bottom-up approach was demonstrated by IBM researchers in 1982. Binning and Rohrer invented the scanning tunneling microscope (STM) and won the noble prize in 1986. The atomic force microscope (AFM) was shortly after invented by Binning and Rohrer as well. It is now widely accepted that scanning probe techniques, including AFM, constitute a key enabling tool for nanotechnology. Another key element in nanotechnology is chemical self-assembly, the self-organization of small molecular components to form complex functional structures. As the feature length scale reaches the 70 nm or less in lithography through implementation of tools such as F2 lasers, and the fact that biological scales are in the nano size ranges, the nanotechnology is seen to heavily interact/overlap with biotechnology and microelectronics. James Canton, President of the Institute for Global Futures stated, "Never has such a comprehensive technology promised to change so much so fast... Inevitably, nanotechnology will give people more time, more value for less cost and provide for a higher quality of existence.” Also, based on a broad definition that considers most biotechnology the "wet side" of nanotechnology, Rice chemistry professor and Nobel Laureate Richard E. Smalley likes to say that "it holds the answer, to the extent there are answers, to most of our most pressing material needs in energy, health, communication, transportation, food, water, etc." Finally, The US government goes as far as suggesting that in just another 10 to 15 years, nanotechnology will impact more than $1 trillion per year in products and services. This seminar attempts to instill a sense of understanding and appreciation for the significance of this revolutionary (nano-) technology of the 21st century, and elevate knowledge of the field for the technologists, managers, business people, entrepreneurs and the investment community. This is accomplished through dissemination of a balanced and high-fidelity information on scientific, existing and potential products, and business opportunities for the near-, intermediate- and long-term. This seminar aims to position the attendees to intelligently benefit from current and future nanotechnology products and other related opportunities in their technical and business activities. Design and lecture notes: 552 pages. The combustion inside a diesel engine cylinder is very complex due to its heterogeneous nature, where liquid fuel breakup, evaporation, fuel-air and burned-unburned gas mixing, and combustion chemistry occur simultaneously. Consequently, there are many in-cylinder processes that individually or often in combination impact diesel engine combustion quality, emission of pollutants, engine performance, and fuel economy. Dynamics of liquid jet breakup, atomization quality of the liquid spray and its time evolution, vaporization, turbulence, mixing and chemical reactions are key amongst the processes that go hand-in-hand to bring the combustion process to completion and deliver optimum performance with best fuel efficiency. At the same time, formation and oxidation of particulates, hydrocarbon formation/oxidation mechanisms, and nitric oxides generations occur which contribute to the exhaust emission levels. Although aftertreatment of the pollutants in the exhaust is an important means to manage emission levels to the environment, innovative in-cylinder measures and optimization strategies based on better understanding of the combustion and other related factors in the cylinder can substantially decrease the cost burden and technological complexity of the aftertreatment hardware. Indeed, this important aspect of diesel engine operation, meaning in-cylinder processes, is the focus, the motivation, and the central theme of the seminar. Factors such as chamber design, fuel injection characteristics, injector design and the ensuing spray quality, autoignition process, flow/combustion chemistry interaction, and combustion diagnostic/control are amongst key variables to be understood and optimized. On the other hand, emission standards for diesel engines are increasingly tighter due to severe health and environmental effects of particulates and other pollutants. For example, the Tier 2 US federal emissions standards for diesel car and trucks, especially the Bin 5 level, are considered the most stringent requirement for engine manufacturers. The most demanding standards are set for NOx (nitric oxides) and particulates in that order. Considering the need to meet increasingly stringent standards with no compromise in, but improvement demands on, efficiency/performance, it appears timely to discuss the nature of diesel engine in-cylinder processes for fuel economy improvements and understand the mechanism of formation and emission of three important pollutants, namely, NOx, particulates, and hydrocarbon. Therefore, ample time is spent on understanding in-cylinder phenomena and their diagnostics/control strategies. To the extent that the inclusion of aftertreatment options affects the in-cylinder combustion/emission processes or vice versa, they are briefly presented. Design and course notes: 950 pages. This seminar is about understanding the processes of liquid atomization and spray formation and relating this understanding to fuel injection systems and emission of pollutants in modern engines. The approach in this course is to build sufficient background through introduction of a consistent and widely-used terminology in sprays and atomization. Justifications, reasons, and purposes of the liquid atomization and spray formation are discussed along with presentation of different designs of atomizers and nozzles employed in various industries. Characterization methods of sprays are discussed after the definition and meaning of different averaged liquid droplet diameters are touched. Droplet size measurement devices are covered and examples are shown. Armed with these critical background information, the focus of the course is then heavily directed to gas turbine fuel nozzle designs and their performance requirements for optimum engine operation with lowest possible emission of harmful pollutants.then individuals involved in research, design, and operation have the requisite knowledge and training to choose intelligent and innovative approaches when it comes to liquid fuel nozzle and its optimum performance.